Valentine’s Day is probably one of the most celebrated occasions ever made in human history. I think it is so because it is deeply ingrained in our being as it involve matters of the heart. So no matter who we are, what we do, where we are, we always have that involvement, direct or otherwise when it comes to Valentine’s. I’m into ‘life-is-too-short-to-dwell-in-unhappy-things’ mantra these days. So Valentine’s or not I think life, living and loving are everything worth celebrating, but more so, if it is a day of loving. 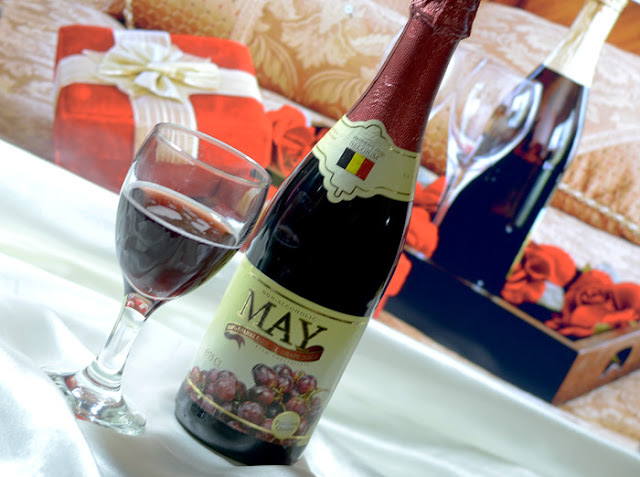 So what can be more fitting than popping a cap of May Sparkling Red Juice to toast to the occasion. 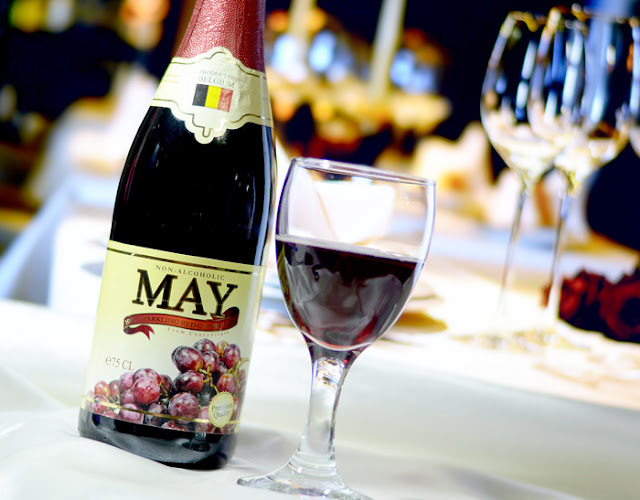 May Sparkling Red is non-alcoholic. It is made from specially selected freshly pressed grapes so we can always be sure of its quality. When you’re a calorie junkie and always on the look-out for low-caloric content drinks, May contains only 80 calories per serving, a little walking up the stairs will do the burning. Since it is sparkling, it has this fun fizz that will instantly boost up your celebration. May Sparkling Juice can be a great companion. I won't judge, you're alone but not lonely! I get it! If you’re good at mixing and matching drinks, May Sparkling Juice is also a great drink to blend in with your cocktails and mocktails. Or if you’re that hopeless romantic type you can always liven up the mood of your beloved with a specially named and blended drink surprises. Since May is non-alcoholic, everyone in the family can enjoy and toast to the occasion. 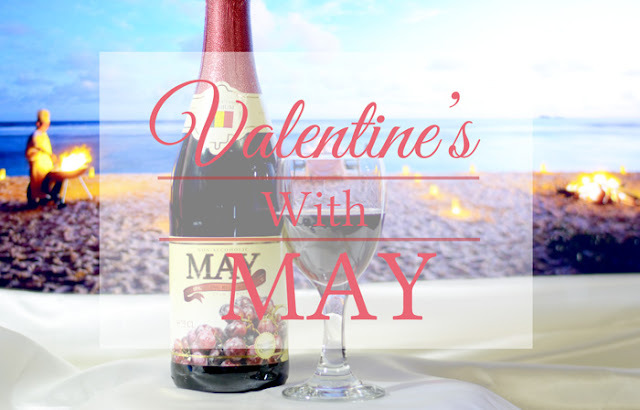 So this Valentine’s Day celebrate your love and devotion with May Sparkling Juice. 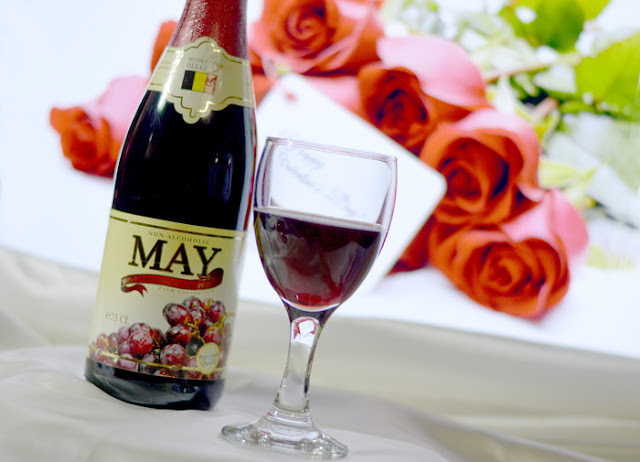 Intimate evenings can even be made more memorable with May! A night of fun and romance never grows old with May. Matters a lot to me. I'm so lucky to have you and May! May is a quality product of Belgium. And it is available in two flavours, Red and White Grape. Filled at 750ml/bottle. May is available in all leading supermarkets and grocery stores nationwide and distributed in the Philippines by Fly Ace Corporation. Disclaimer. 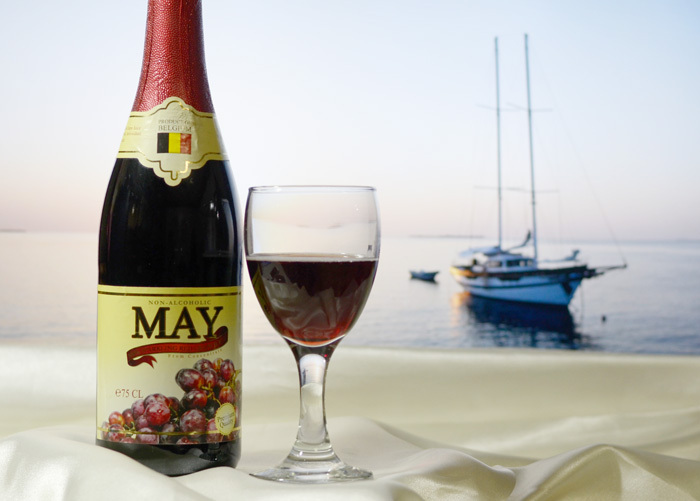 Thank you so much Ms. Lormy Papa for sending bottles of May for me to try. I was not remunerated to do this article but was given the products to try.